Mr. Johnson serves the Veteran community as the Contra Costa County Veterans Service Officer, a position he has held since February 27th of 2012. His office assists Veterans and dependents in applying for federal and state Veterans benefits. His civilian experience includes the Concord California Vet Center team as a GWOT Outreach Coordinator, an opportunity to interact with the military and veteran community in the East Bay region of California. Nathan conducted professional presentations at demobilization briefings for service-members returning from the Global War on Terrorism. He interacted with various Veteran and Congressional organizations as liaison to the D.V.A. and informed officials on information regarding Vet Center and other VA programs. Additionally, he continued a program at community colleges, universities, and local law enforcement agencies which provided the opportunity to interact with Veterans and their families. Nathan eventually worked as a Readjustment Counselor providing both individual and group therapy for combat Veterans and their family members. Nathan Johnson enlisted in the U.S. Marine Corps in 1999. Upon completion of boot camp he was sent to Dam Neck, Virginia where he trained as an intelligence analyst through an intense Navy Marine Intelligence Training Course (NMITC). After completion of all initial training, Nathan was assigned to his first duty station with 1st Marine Regiment at Camp Pendleton, CA. After the attacks on America on September 11, 2001, Cpl Nathan Johnson deployed to the Indian Ocean with Battalion Landing Team 1/4. During the course of the deployment, Cpl Johnson was sent onshore to Pasni, Pakistan where he supported Operation Enduring Freedom with Force Protection Platoon, H&S Company. Cpl Johnson returned safely with his unit in June 2002. Deployed again on January 17, 2003 Sgt Johnson deployed to Kuwait with Regimental Combat Team 1 in preparation for the war in Iraq. At the beginning of Operation Iraqi Freedom, Sgt Johnson crossed the border into Iraq on March 20 where he served in combat operations to defeat the Iraqi Army, Iraqi Republican Guard, and the Saddam Fedayeen. Sgt Johnson returned safely to the United States on May 17th, 2003 and was honorably discharged from the Marine Corps in late August of the same year. 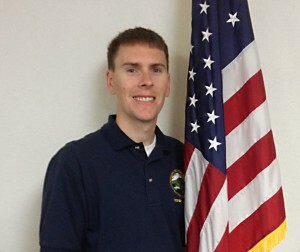 Since completion of duty in the U.S. Marine Corps, Nathan moved to the Bay Area and earned his BA in Communications from CSU Stanislaus, followed by his Master of Social Work from UC Berkeley. He is the former Deputy Director at Central Valley Homeless Veterans in Modesto, CA. Nathan is a Board Member of the All Wars Memorial, Workforce Development Board, and the Contra Costa County Equal Employment Advisory Committee, in addition to Vietnam Helicopters. Nathan is a licensed private airplane pilot and enjoys flying his Cessna model 150F. He is married to Lauren and they have two daughters, two kitties, and a wiener dog.